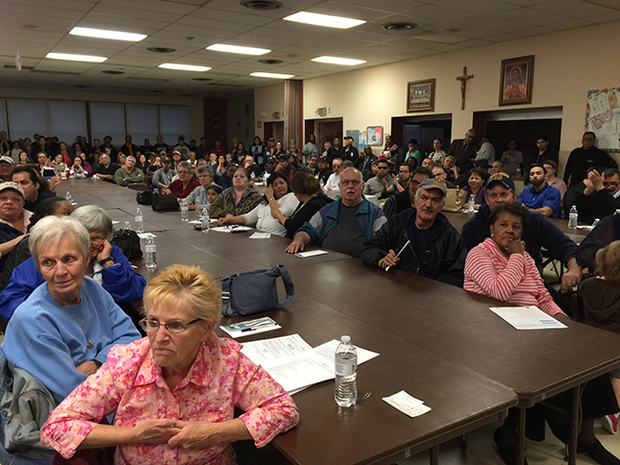 A May 4 meeting with Agri-Fine officials drew more than 200 residents to Sacred Heart Church. VETERANS PARK — An executive at Southeast Side manufacturer Agri-Fine Corp. says his company invested millions of dollars in curbing odors at its plant, and argued that some complaints about the company were made in error or were politically motivated. In an interview Wednesday, Agri-Fine Chief Operating Officer Erik Hoelzeman said his company uses a wet scrubber system installed in 2010 to clean and perfume air coming from its storage tanks. A similar system was installed on the company's processing tanks in 1988, he said. 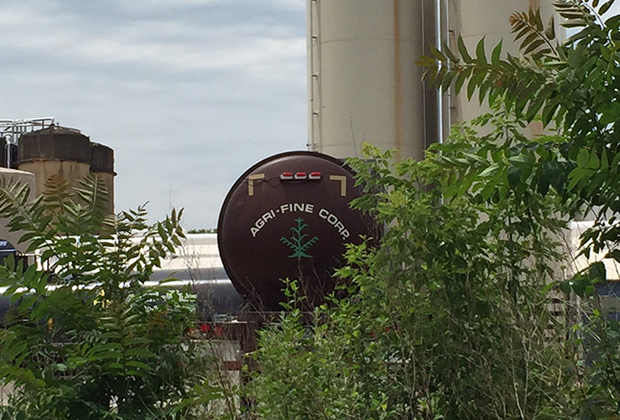 Agri-Fine uses vegetable oil byproducts to manufacture an ingredient in poultry feed. In a complaint filed in November, the Illinois Attorney General’s Office accused Agri-Fine of spewing harmful levels of two noxious gasses into the neighborhoods around its plant. Residents who live near the plant have complained for decades about a foul odor they say smells like dead animals or rotten eggs. Hoelzeman said that while some complaints targeted at his company were legitimate, others have come from misinformed neighbors exposed to pollution from some other source. Hoelzeman also claimed that while Agri-Fine may have exceeded emissions levels set out by its operating permit, the company had not exceeded pollution limits set by state law. A representative for the the Illinois Environmental Protection Agency declined to respond to that claim, citing the pending litigation. A representative for the Attorney General said her office stands by the allegations and evidence laid out in its lawsuit. Agri-Fine’s COO also addressed the accusation that former Ald. John Pope (10th) had turned a blind eye to constituent complaints because the company had been a major financial contributor to his campaign. “We’ve noticed an increase in complaints during the campaign season,” he added. But local residents reject this view. Bautista described her neighborhood as a “predominantly working poor community” and said that years of exposure to dangerous pollutants from Agri-Fine and other companies constituted environmental racism. Agri-Fine is next scheduled to appear in Cook County Court on July 8.